talkhealth is one of the leading online health communities in the UK, that provides FREE trusted information and support to those living or caring for those, with chronic health conditions. Health and wellbeing can sometimes become a complex journey for teenagers and often it is difficult to find the help and advice needed. 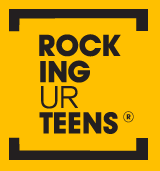 talkhealth are leading on the conversation on teenage Acne and are working hard to demystify this condition. 2.7m teens aged 13-19 in the UK will have Acne at some point and Acne is proven to have significant psychological & psychosocial impact. Acne can create scarring which is irreversible & lasts a lifetime. talkhealth are developing a dedicated community website for teenagers to visit to learn more about Acne, share their own experiences and access the support that is available to help make this condition more manageable.